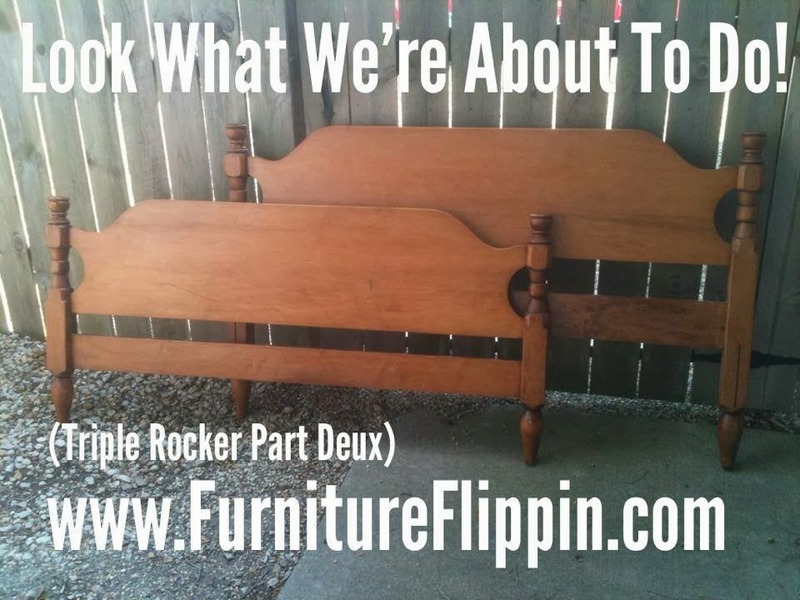 Here's your chance to pre-order your own Triple Rocker made from the bed pictured above. 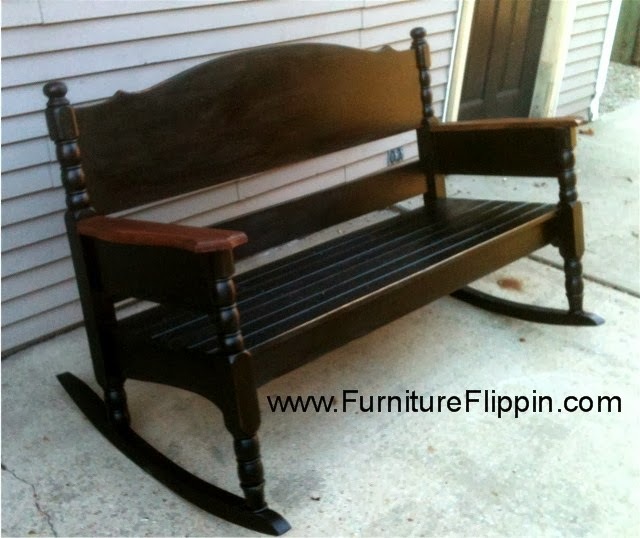 You'll recall this one that was made recently for our own front porch. It was so much fun to make and the response to it was so overwhelming, there's going to be a sequel! Please contact Stephanie if you wish to pre-order this rocker. Email me at furnitureflippin@gmail.com for more details.